When it comes to women in tech, Hackbright is all about changing the ratio. That’s why we were excited when Facebook asked us to represent Hackbright at the F8 Developer Conference in San Jose this past week! 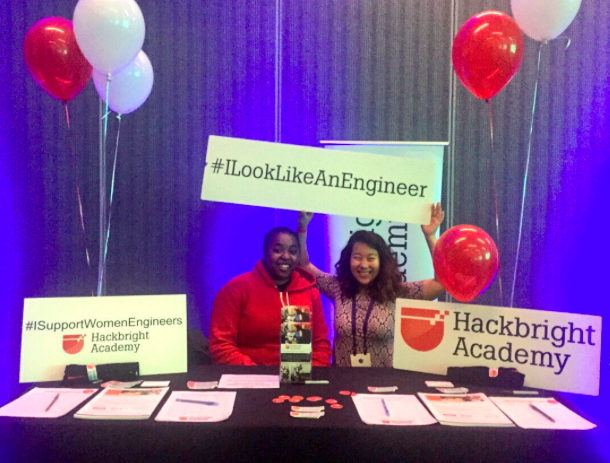 Hackbright had an information booth for the invite-only 1,000 attendees from all over the world, with a special musical performance by DJ Blaze. You’d think by now the men to women ratio is evening out, but sadly, it’s not. 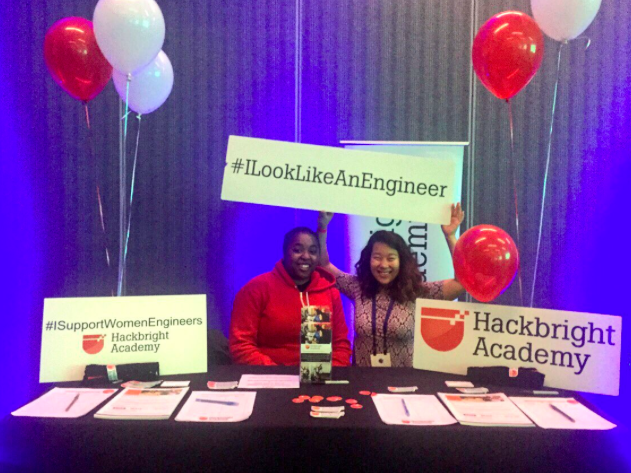 So, Hackbright aimed to be the representation at the conference to bring awareness to this issue. #ISupportWomenEngineers signs were seen all over the conference, to help bring awareness to increasing the number of women, specifically engineers, in tech today. Even if you weren’t at the conference, you can still join in our enthusiasm. Get inspired by reading some of our Student Stories of women who are changing tech history. 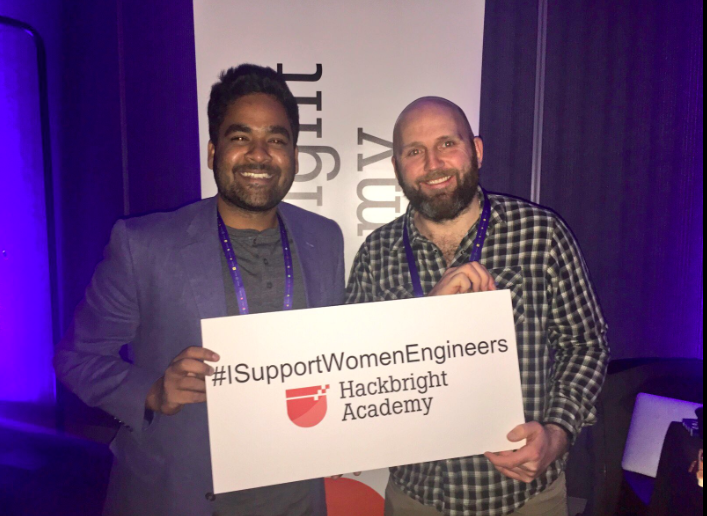 Hackbright Academy is an engineering school for women with a mission to increase female representation in tech through education, mentorship and community. To close the gender gap in engineering and technology, we have reimagined and improved engineering education through a customized model that aims to bring women back into the field.